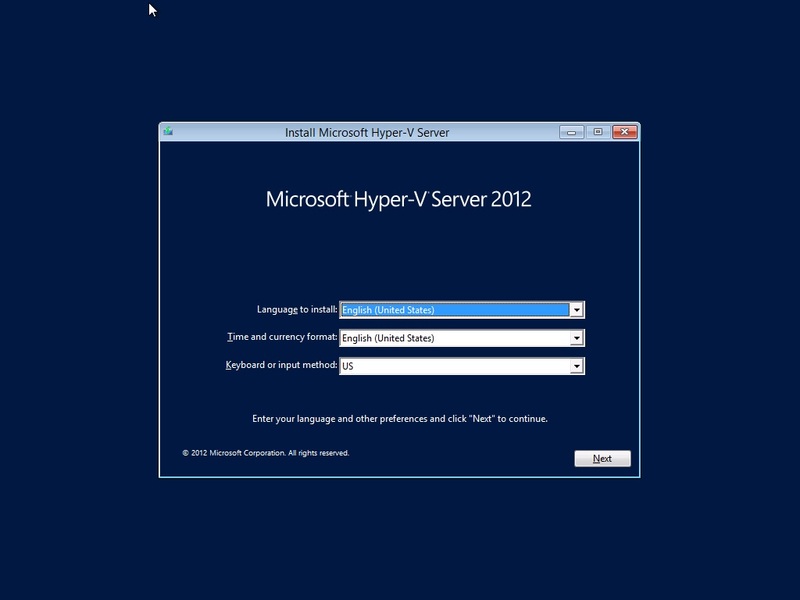 Microsoft Hyper-V Server 2012, the Enterprise-class free virtualization solution from Microsoft, which has all the features included on Windows Server 2012 Hyper-V. 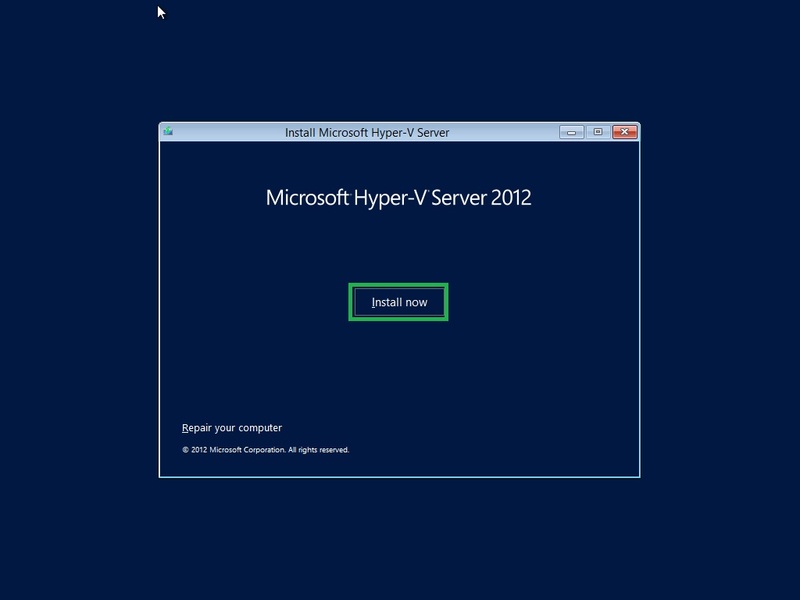 The only difference is that Microsoft Hyper-V Server does not include virtual machine licenses and only Local Command Line Interface. 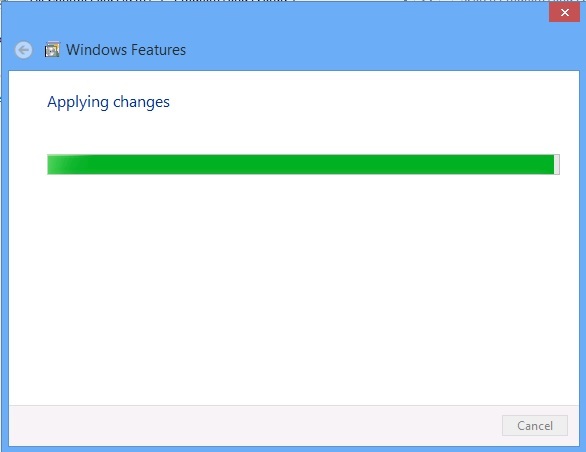 It is only designed for remote management. 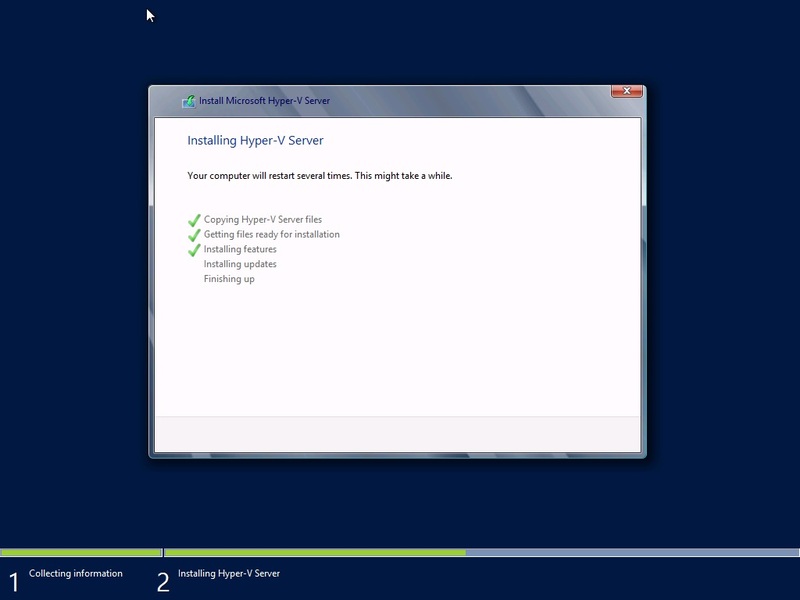 Remote management for Microsoft Hyper-V Server 2012 is really hard for everyone for the first time. 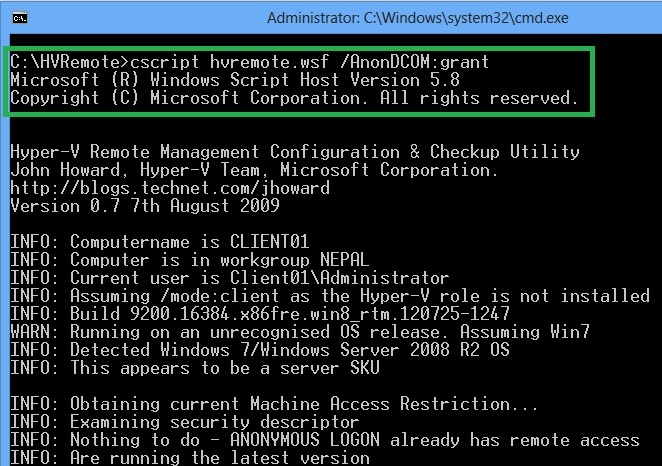 For this we have to download Hyper-v Remote Management Configuration Utility (HVRemote Version 0.7) from the following link: http://archive.msdn.microsoft.com/HVRemote. 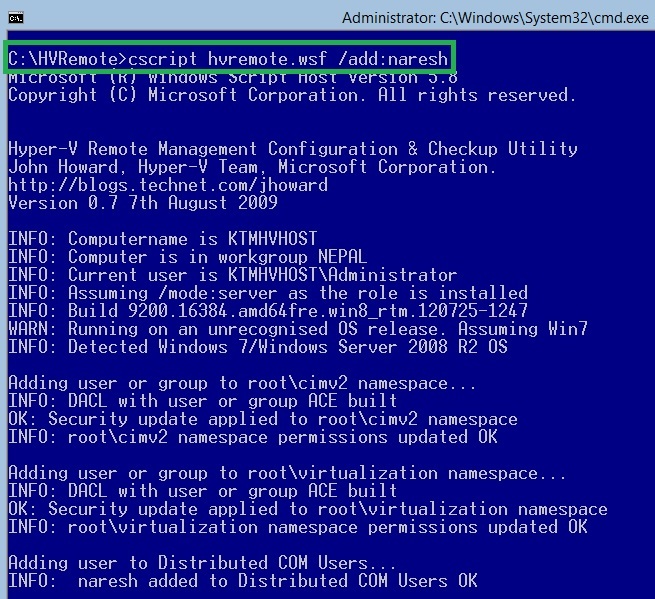 Then copy this script, HVRemote.wsf in the both Hyper-V Server and Hyper-V Management workstation. Management workstation must be Windows 8 or Windows Server 2012 Server or we can use third party utility such as VT Technology Management Utilities for Microsoft Hyper-V Server 2012. 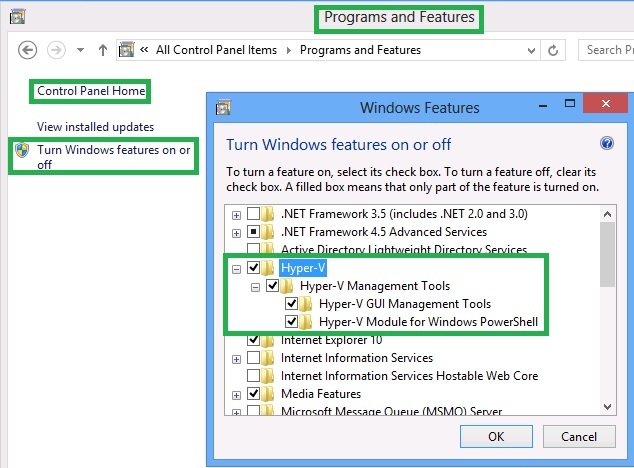 The following four steps will enable Remote Management for Microsoft Hyper-v Server 2012 using the HVRemote.wsf tool. 1. 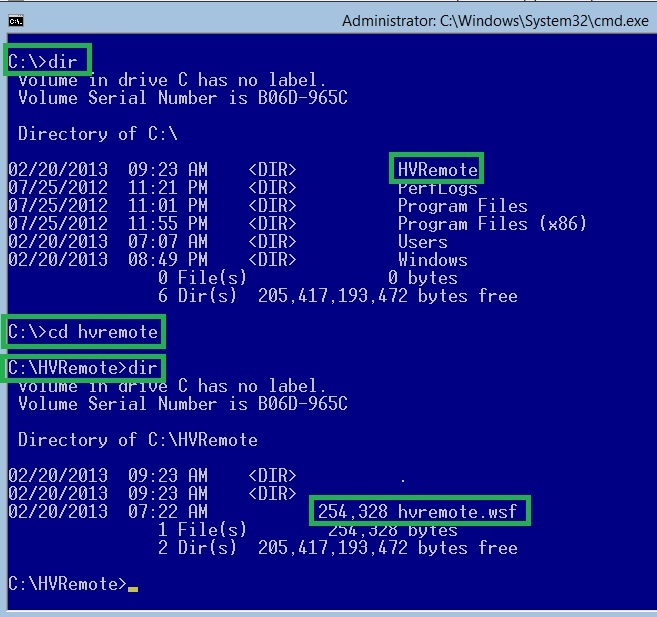 Download HVRemote.wsf tool from http://archive.msdn.microsoft.com/HVRemot and copy this tool on both the server and management computer. 2. Enable File Sharing on Microsoft Hyper-V Server 2012 to copy HVRemote.wsf tool. 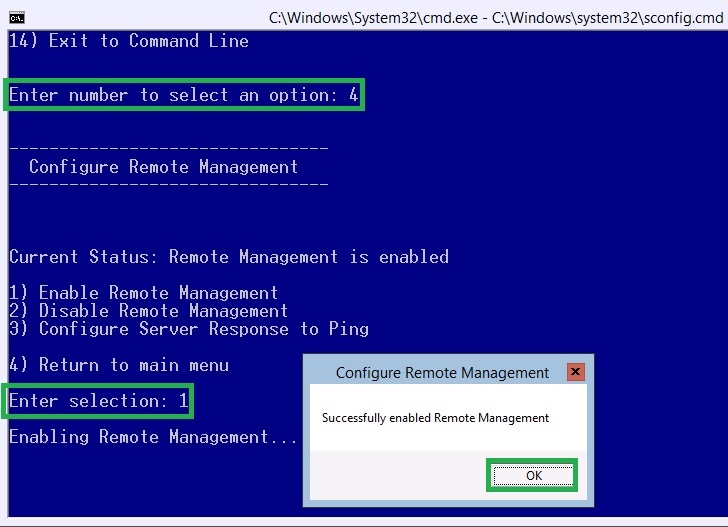 In Configure Remote Management options, Enter selection: 1 to select the option 1) Enable Remote Management and Press Enter and Click OK on the pop-up message to enable Remote Management. 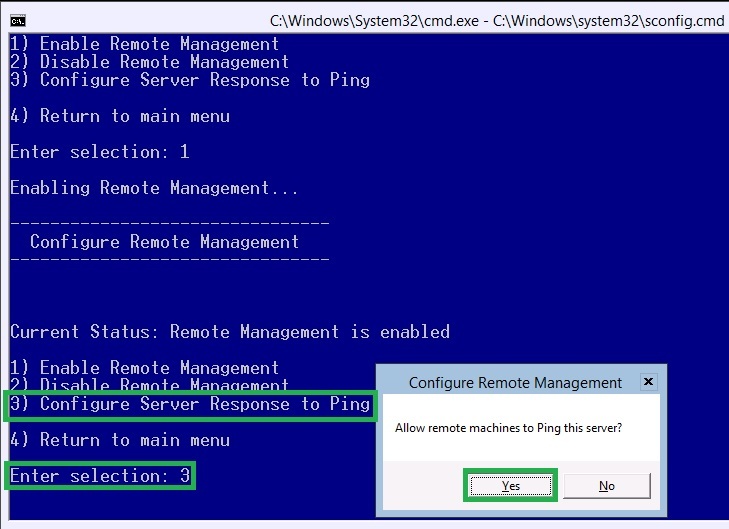 Enter selection: 3 to select 3) Configure Server Response to Ping, click OK on the pop-up message to Allow remote machines to Ping this server? 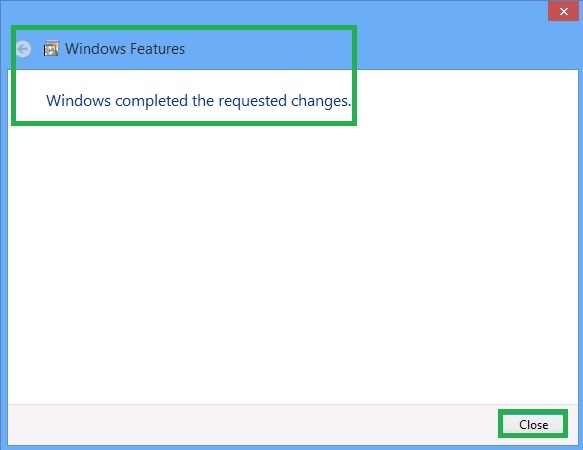 Enter selection: 4 to return to the main menu and Enter number to select an option: 3 to select option 3) Add Local Administrator. 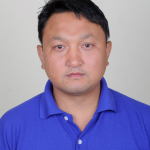 In Enter account to join local Administrators group, type the username, naresh and Press Enter. 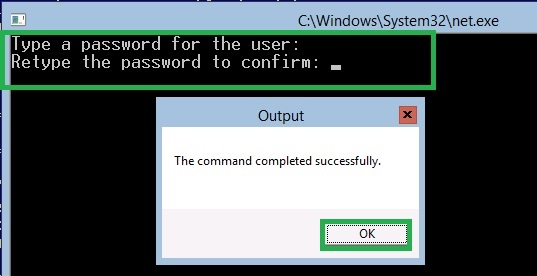 Type the user password and Retype the password to confirm. 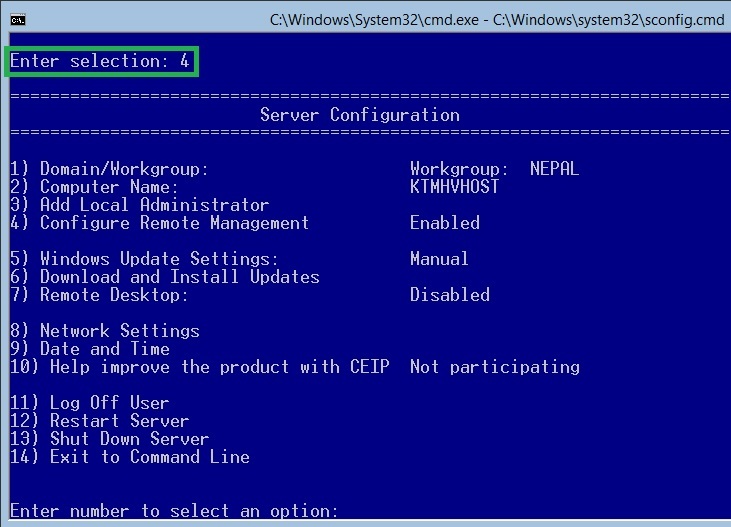 Note: Make sure that username and password is same as the management workstation. 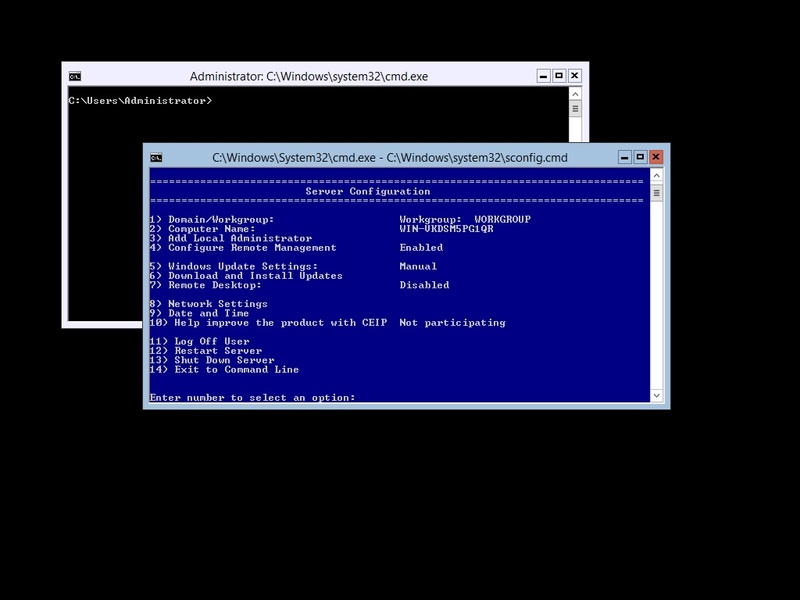 In the Command Line Interface, type the following script. 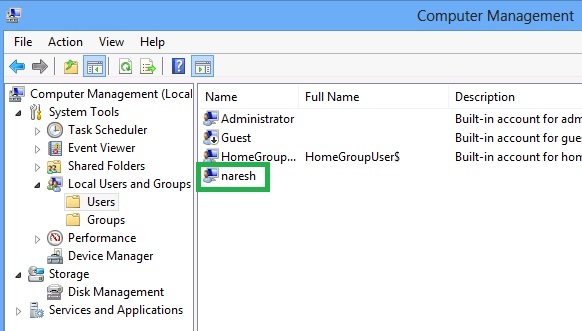 Here, naresh is the username which will use from the management workstation. 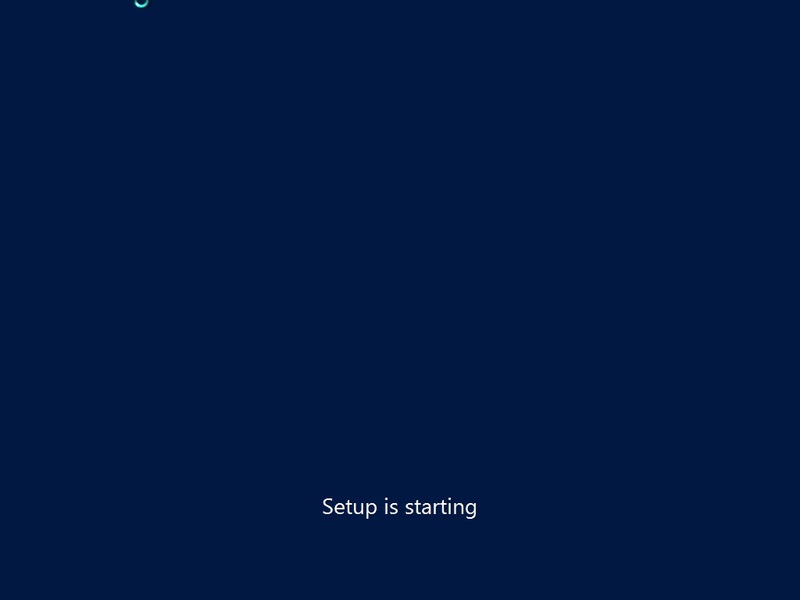 Note: Make sure username and password is same as previous. 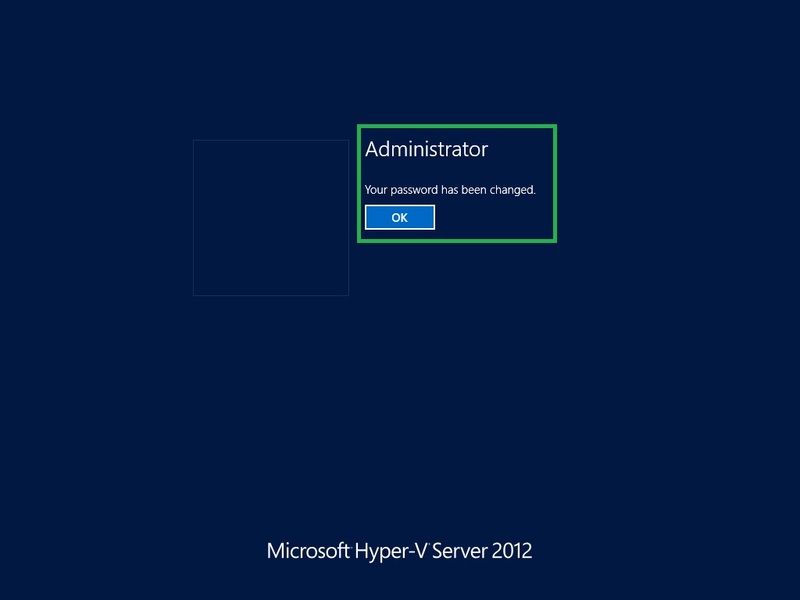 If we need change the username or the password on Hyper-V Server, we will also need to change it on the Hyper-V Management computer as well. 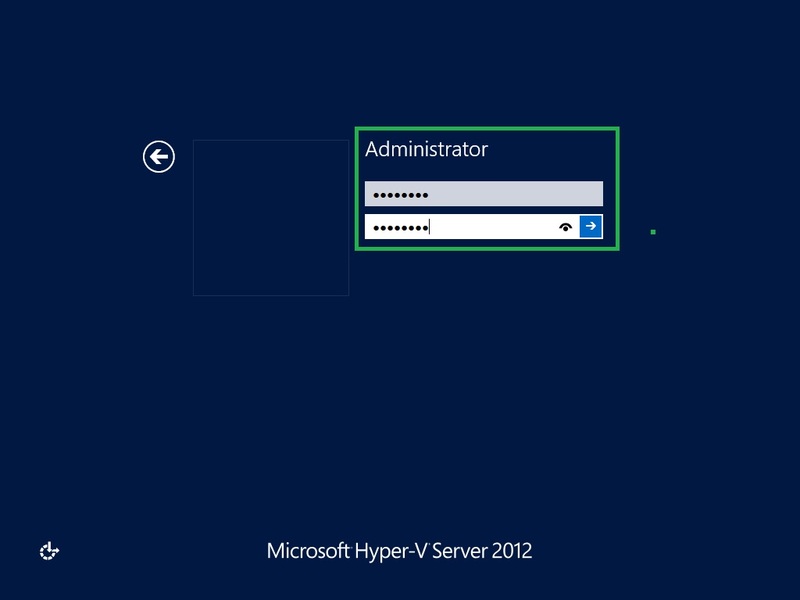 From the Hyper-V Management workstation, log on as administrator, Open Control Panel and Install Hyper-V Management Tools on Windows 8 Management workstation. 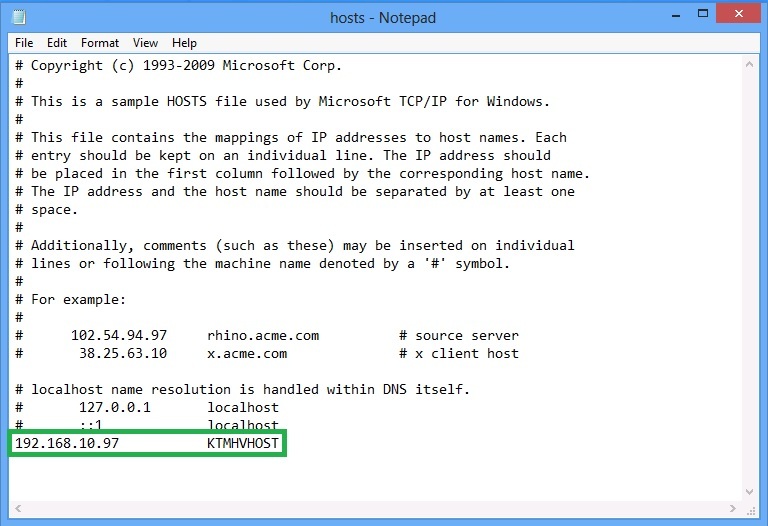 at the end of the file, add an entry for the Hyper-V Server IP Address and Server name, click Save and close. 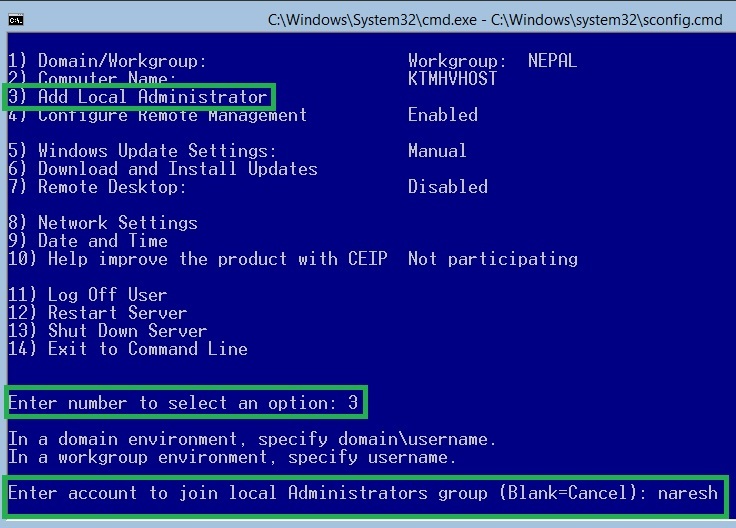 Open the command prompt as an administrator, and then type the following script on it. 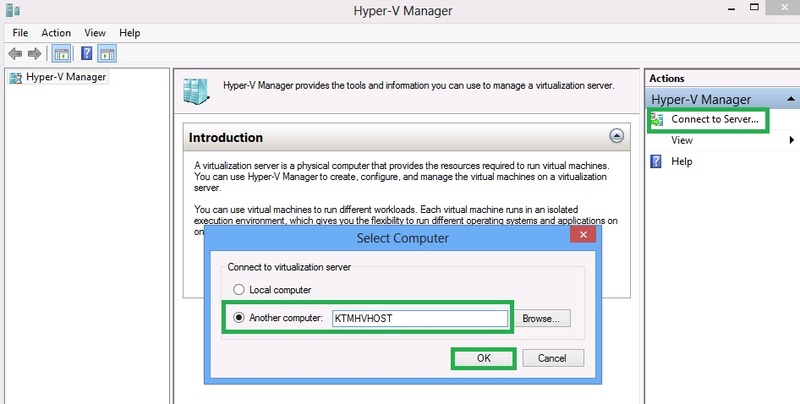 Open the Hyper-V Manager Console and then click on Connect to Server. 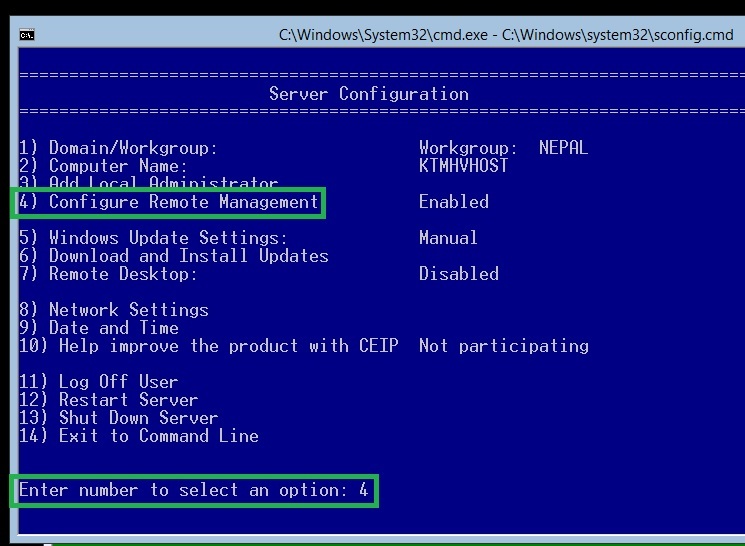 Specify the Hyper-V Server name and then click OK to access Hyper-V Server Remote Console.. 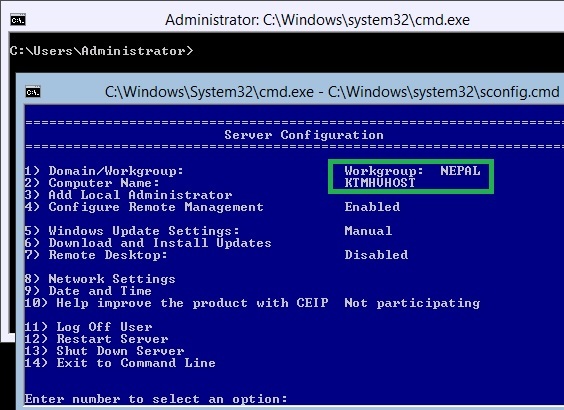 Finally, we are successfully established to connect Hyper-V Remote Console and we will be ready to manage our Hyper-V Server Remotely. 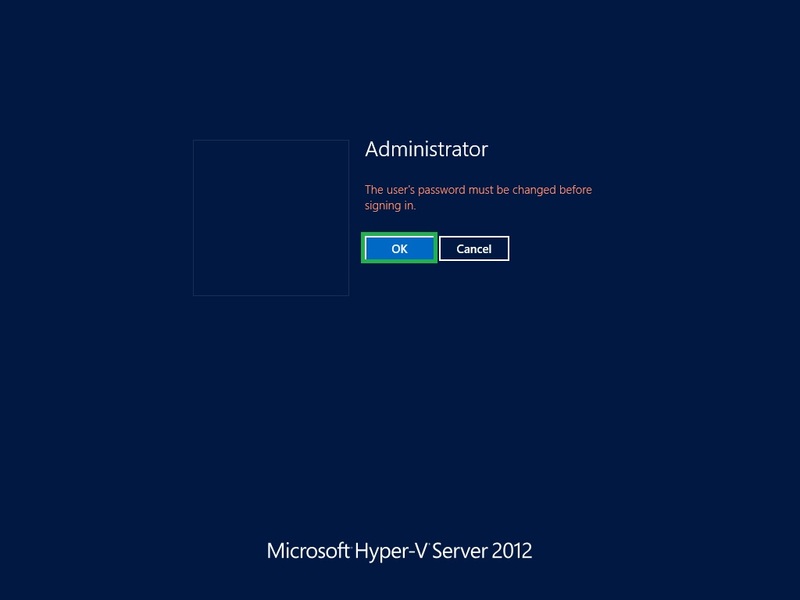 Remote management for Microsoft Hyper-V Server 2012 is really hard for everyone for the first time. I hope this will help. Pingback: How to Deploy Server 2012 R2 Core | Deploy I.T. !